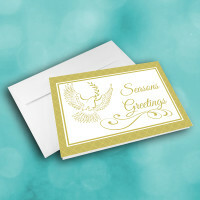 This beautiful, classy card is the perfect way to formally share your holiday greetings. 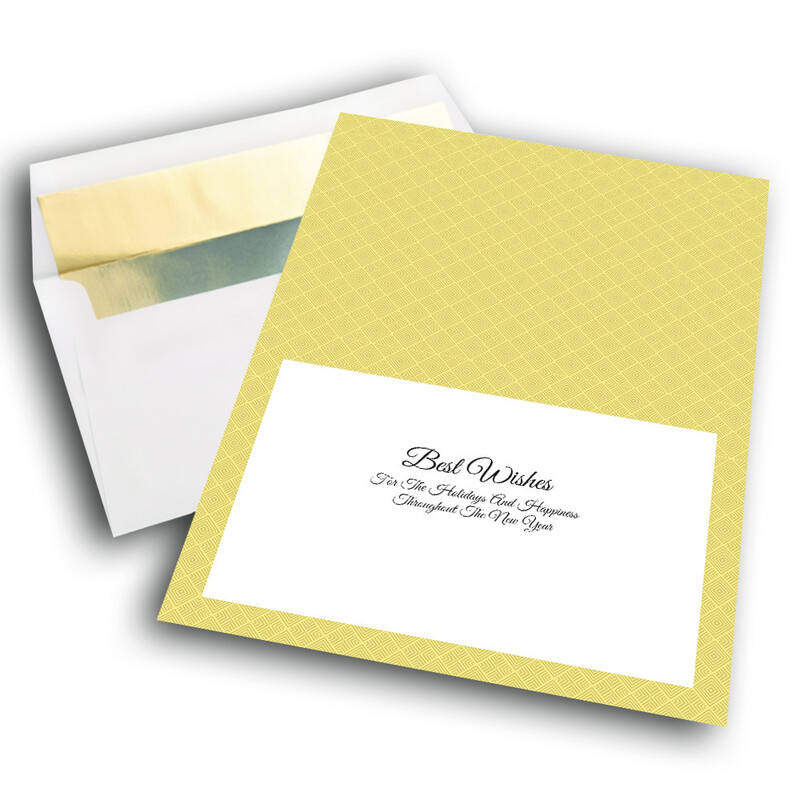 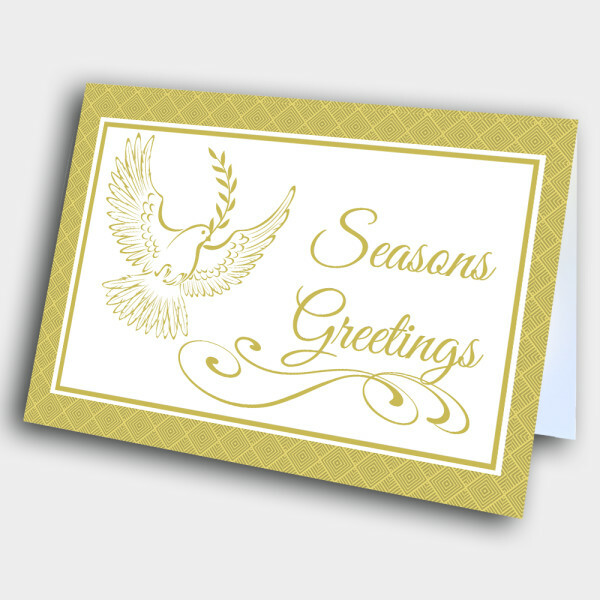 This elegant holiday card would be perfect for any business or formal occasion. 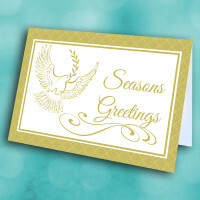 A golden diamond border encloses a delicate, golden peace dove in flight, with a beautifully penned "Seasons Greetings". 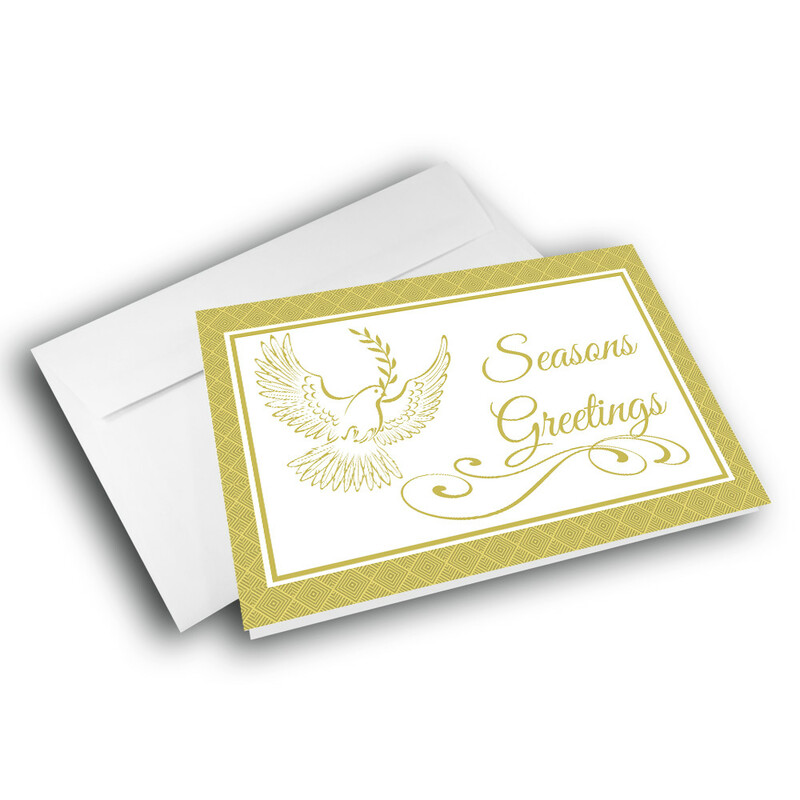 The inside boasts the same golden diamond pattern for the background, as well as warm wishes for the season and the new year. 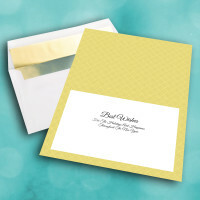 This message can be personalized to add your individual touch.